Manufacturers are gearing up to bring Android 8.0 Oreo to devices, but we frequently forget that there are plenty of them still being sold right now that haven't had a taste of Android 7.0 Nougat. 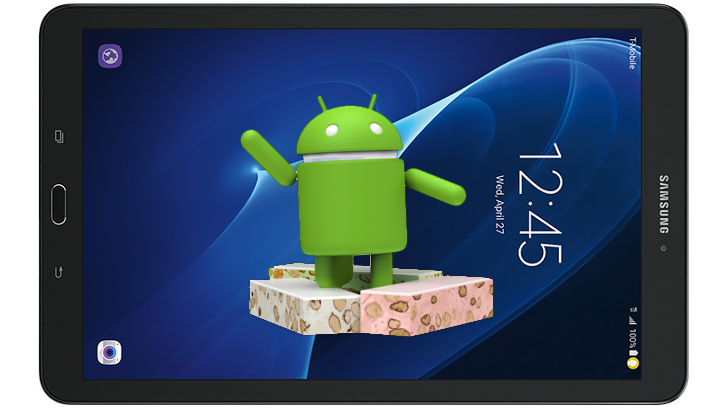 Up until just recently, Verizon and T-Mobile's Samsung Galaxy Tab E were among the devices stuck on Android 6.0 Marshmallow. But now those of you with carrier-branded units can enjoy all the features Nougat brings. This applies to Verizon 9.6" or 8" models, as well as the T-Mobile 8" model. Customizable presets for power saving modes. App Power Monitor detects inactive apps using the battery and puts them to sleep. Preview filters while taking a picture. 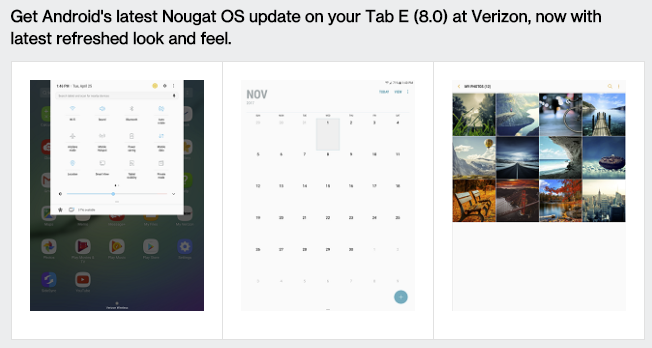 The T-Mobile Galaxy Tab E is also getting some love. The baseband version for the update is T377TUVU1BQI5, though we don't know the precise build number. T-Mobile hasn't posted a full changelog for its OTA outside a single blurb stating "Update to Android 7.0 (Nougat) Google security improvements." Installing the update should be pretty simple, but the workflow is to head to Settings -> About phone -> Software updates -> Check for Updates. If it finds an update, tap Download now, and you should be on your way.